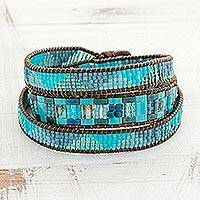 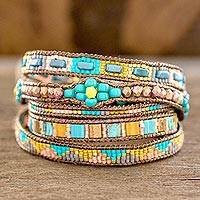 Working with an impressive array of glass beads in earth-tone and turquoise colors, Guatemalan artisan Cristobal Ramirez designs this wrap bracelet. 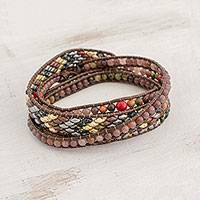 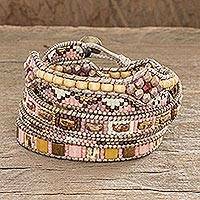 Within two lengths of nylon cord that wrap the wrist, the glass beads are carefully knotted by hand for a bohemian look. 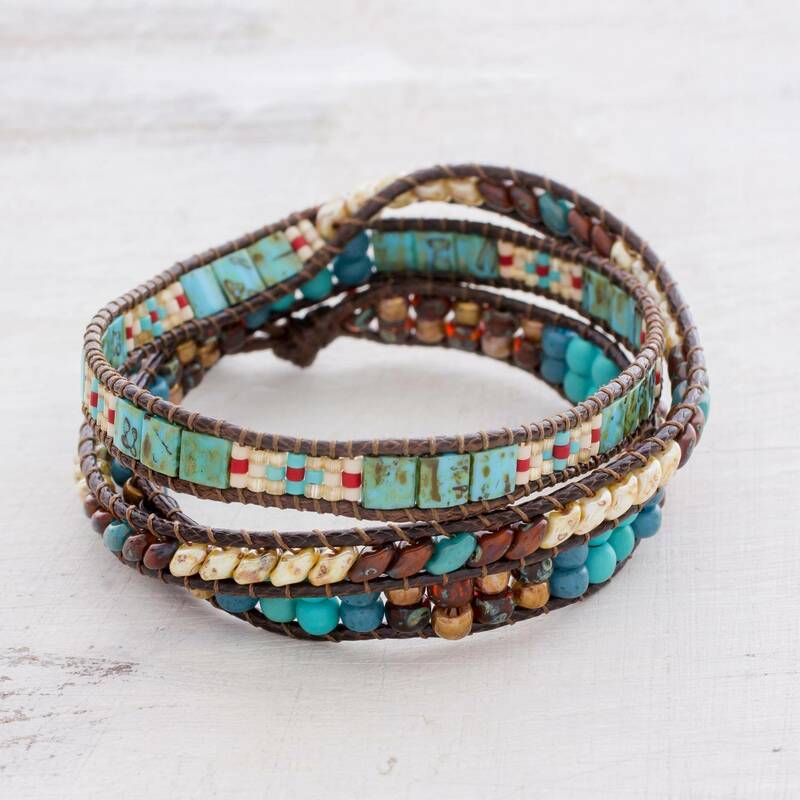 Says the artisan, "To create these bracelets, I draw inspiration from the beauties that Santiago Atitlan offers us." The bracelet closes with a pewter button.